In this episode of the eCW Podcast, our host, Adam Siladi, discusses what’s ahead for eClinicalWorks in 2016 with Vice President and co-founder Sam Bhat. 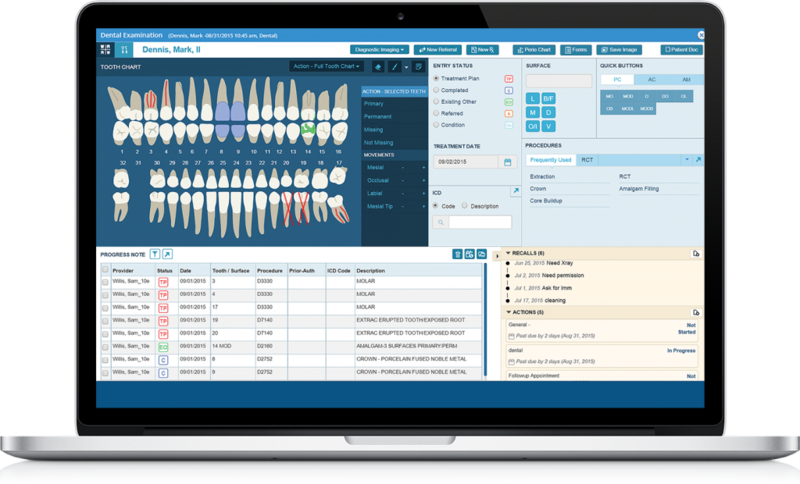 Our EHR now includes a brand-new dental module, for dentists and dental hygienists alike. 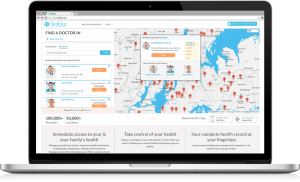 This gives patients the opportunity to see their dental and health information in their personal health records. 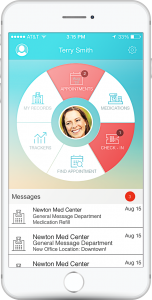 Messenger contains a patient-centric suite of health and wellness campaigns that automate outreach for health reminders. 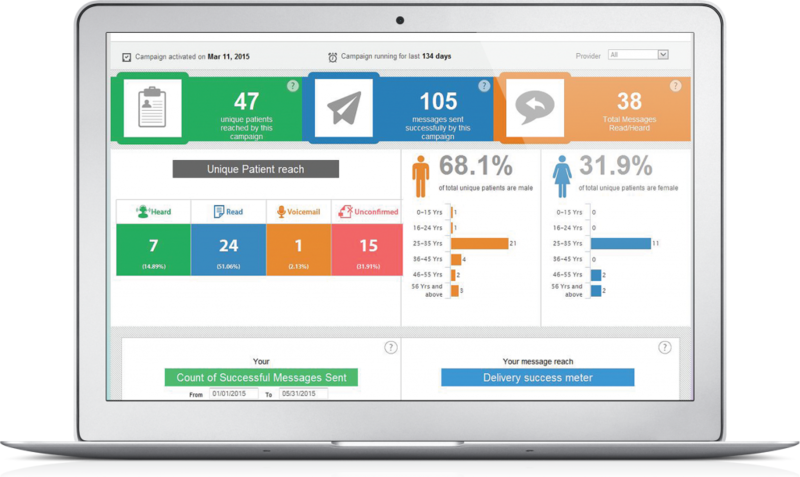 Engage your patients effortlessly with important preventative, administrative, clinical, disease management and wellness messages. Televisits give patients the opportunity to visit their physician face-to-face, via desktop, laptop, iPad, or other portable device. It’s another way eClinicalWorks helps patients become more engaged in their health. 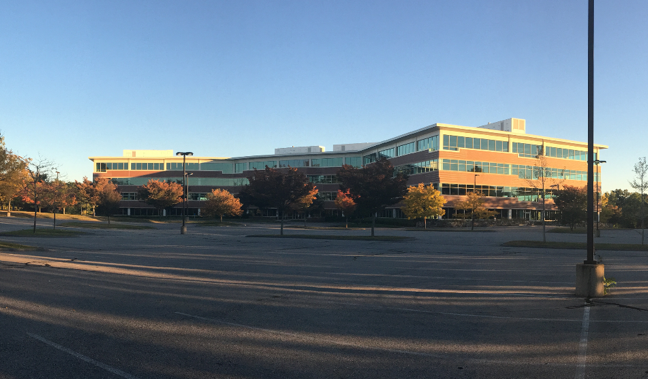 Our new building, located just off Route 9, will accommodate growth at our corporate headquarters in Westborough, Massachusetts. 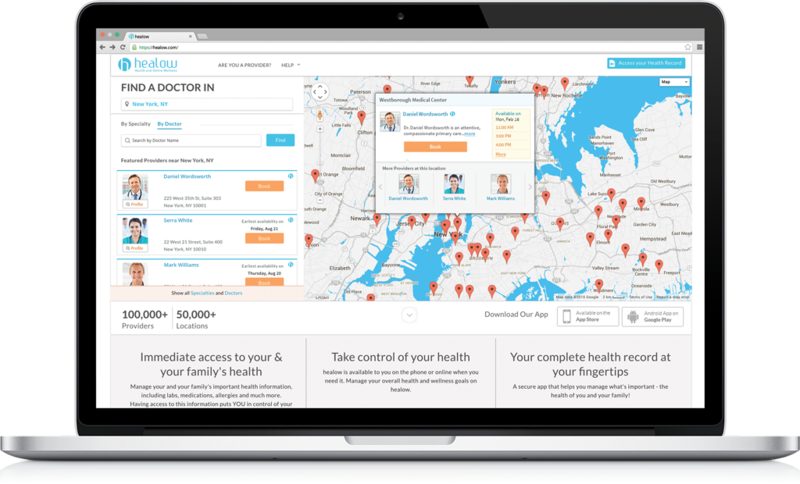 This technology takes a new approach to electronic health records (EHRs), incorporating population health and patient engagement for a single unified user experience. 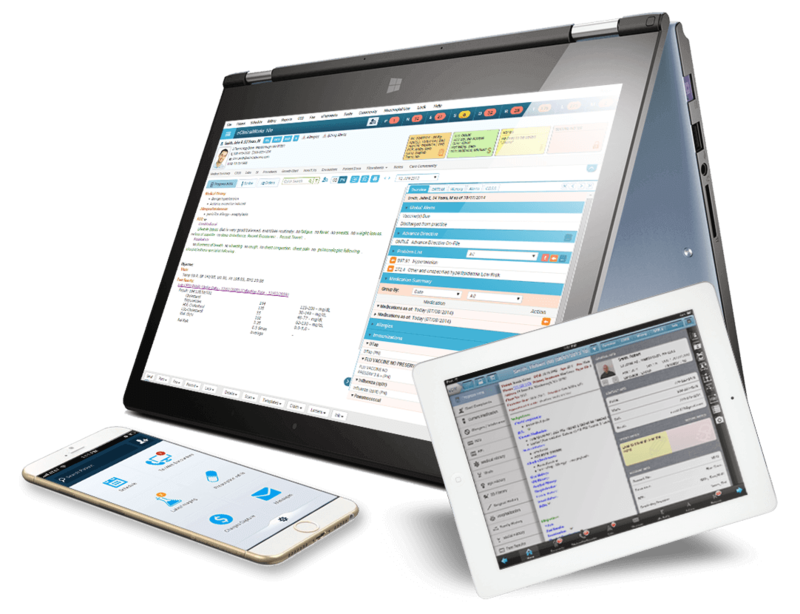 Built on HTML5, 10e can be used on any platform and with the same usability, and helps healthcare organizations manage care delivery wherever a patient is – home, office, work, or gym. CMS’ Chronic Care Management Program is an initiative to help medical providers achieve and maintain the best possible overall health outcomes for their patients with multiple chronic conditions. eClinicalWorks CCM Module is a simple, integrated and affordable solution. For more information, go to my.eclinicalworks.com and register for the free CCM Introduction webinar, or send any questions to CCMSales@eClinicalWorks.com. healow helps patients find doctors and actively manage their own health by communicating with their physicians anytime, anywhere. For more information, visit healow.com. 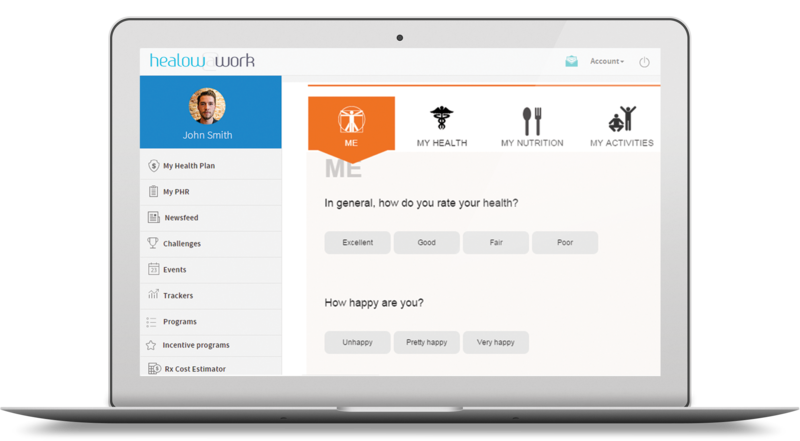 healow@work offers benefits for employers and employees. The software allows associates to participate in incentive programs that incorporate food/exercise logging, watching or reading health education material, completing an HRA, or competing in wellness challenges. Adam: 2016 is set to be another exciting year in healthcare and in this editions of the eClinicalWorks podcast, we’re going to take a look into some of those trends that we’ll see this year and how they’ll impact the healthcare industry. I’m Adam Siladi, and welcome, and we’re gonna be aided in our exploration by the help of Sam Bhat, VP and co-founder of eClinicalWorks. Sam, thanks for being here. Sam: Thank you, Adam. Glad to be here. Adam: So, in order to know where you’re going, it’s sometimes important to know where you’ve been, so why don’t we review some of the landscape from 2015. What are some of those big highlights from last year and what made 2015 one of the most successful years for eClinicalWorks. Sam: Yeah, you’re right Adam, the last 16 years of eClinicalWorks – 2015 happens to be the most successful year in terms of adding new physicians to eClinicalWorks family. We added a lot of physicians and practices to eClinicalWorks and one thing that we saw in 2015 is a trend where physicians that are using different EMRs, are switching to eClinicalWorks and 98% of them came from different EMRs to eClinicalWorks. In the process, when I look back, more than 40 different EMR systems, were converted to eClinicalWorks, so that’s a trend, what we call as “Make the Switch” program. And you probably have seen the Verizon commercials these days, and that’s happening in healthcare. Adam: Other big highlights from 2015, I think, are the chronic care management? Sam: Absolutely. As you noticed, CMS introduced a chronic care management program, towards the end of 2014, and in 2015 we introduced technology embedded inside eClinicalWorks, in such a way to help the physicians, efficiently manage patients in chronic care management program. We saw a significant interested among the physicians, to use technology to efficiently manage the population. And we have many physicians that are now using that technology extremely well and efficiently managing their entire process. And beyond CCM, if I can just go into the population health a little bit more, Patient-Centered Medical Home, huge success, and we’ve built this technology to help physicians achieve the level 3 recognition really really quickly with eClinicalWorks and last but not least, the HEDIS program has been very successful because simply the fact that we’ve simply fired the process of generating the required measures for the different payor-based HEDIS initiatives. So all in all, I think a great year on the population health side in 2015 and we’ll continue to see the growth in 2016 and in the future. Adam: Certainly those programs have seen a huge uptake with their prevalence in the health space but another milestone in 2015 is that eClinicalWorks added a number of new HIMSS Davies awards winners…. Sam: Absolutely, I’d like to congratulate both organizations that received Davies’ awards, one of them here in Massachusetts, Grove Medical Associates, and the second one is HealthNet from Indiana, and we’ve done really well over the last several years, almost every single year we’ve had a Davies’ award winner that is eClinicalWorks customer. Adam: So, turning our focus towards 2016 and the future, which product lines are going to start receiving more attention going forward? Sam: Well 2016 is a year where we are going to see a transformation where physicians who are trying to use technology at the point of care, where they’ll use electronic health records from eClinicalWorks have been very helpful and efficient within their workflow, but one things we’re seeing is a trend where you have to have an online presence for your practice. We have seen this everywhere else, in the retail industry, no matter whether you got it, breaking modern business. You’ve got to have an online presence to kind of offer your services and that is now applicable to healthcare as well because consumers are demanding access to healthcare information as well as healthcare services being available online. So we’re excited about that growth in 2016, and we have a product line that is very nicely designed, called healow. As you know many physicians and practices are using that technology today but we’re going to see an adoption, an increase in adoption of healow – where they can offer services online, first of all, make themselves present in the online world – where patients should be able to discover physicians and practices, once they find them, schedule them online, schedule an appointment online with those providers. 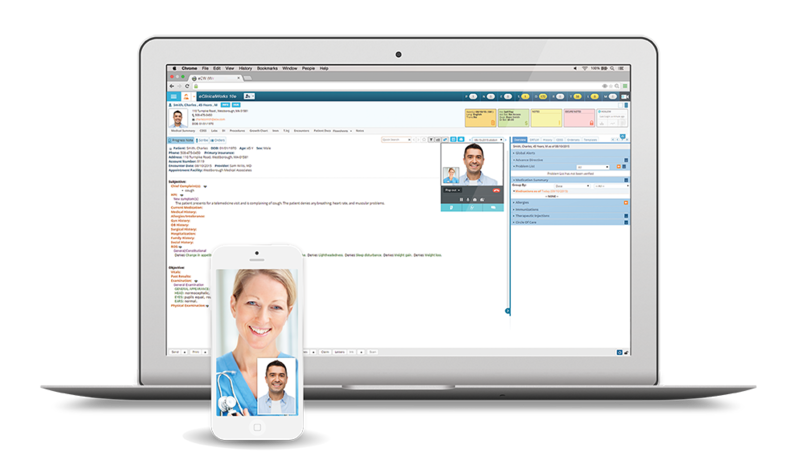 And then thirdly, if the patients is interested in face-to-face versus televisit, patients should have those capabilities online. And we’re going to see a significant interest in adopting online tools, both on the patient side, as well as the physicians side. Adam: Sounds like healow is trying to bring a lot of those different advanced components to the patient and make it easy for them to find their doctor and find the services that they’re looking for. Sam: Absolutely, you need the technology that is ready on both sides, patients, as well as physicians. 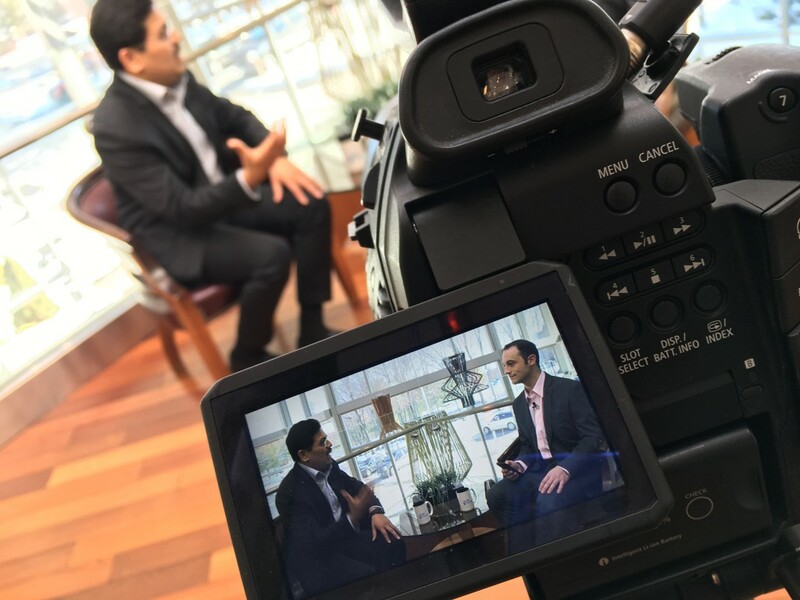 Adam: So, you spoke about some innovations that focus on improved population health and cost reductions, but what role do you see employers taking in their employees’ health and how is eClinicalWorks working towards that? Sam: Great question, here, Adam. If you look at eClinicalWorks, as a company, as an employer, two years ago we started this initiative, to encourage employees to focus on wellness, because we know that prevention is better than cure, and as we believe in that, as a company, we started this initiative called healow@work. We wanted some technology development to help assist our HR department so that they can launch a new challenge; a challenge for a walk or a run or a weight loss program, whatever it might be. And today, eClinicalWorks HR dept – along with employees have been effectively using the technology. It is helping employees get better and focus on wellness, and as we saw success in that experiment in the last two years, we realized that, and this is a technology platform, that we can offer to our customers. And we have seen an interesting trend in the last 12-24 months, where many of our urgent care clinics that use eClinicalWorks EMR, are opening their services, are opening clinics at an employer’s site, to take care of different type of annual visits, sick visits and other needs of an employer, and those customers can take advantage of healow at work and offer services on top of their regular clinic services. And we see a lot of promise in that area, and it’s in an early stage but we do see that we have the right product to help our customers that are offering these services to employers on one hand, as well as we have built an employer portal can get access to all these capabilities for wellness initiatives; it doesn’t stop at wellness, it goes beyond wellness, we are also interested in providing cost transparency, to employees. Employees can shop for the best pharmacy, the cheapest pharmacy or a lab, before they buy a prescription or get a lab test done. Adam: Oh and also important is giving the employee the ability to see how their care over the year fits in the spectrum of spinning across the organization. The identified, of course. Adam: Since its beginning, eClinicalWorks has enjoyed high growth rate, where do you see most of the growth happening now? Sam: Well we do see a growth happening across the board, we talked about the EMR and practice management growth, in 2016 and beyond, we are going to see a growth in telehealth services. Telehealth platforms are now getting utilized by different physicians and different practices and we have the right technology at the right time, which we think is an area we’ll see significant growth in 2016 and beyond. Adam: So we’ve seen some dramatic return on investment from intelligent messaging campaigns, tell me how our clients are using intelligent messaging to improve the health of their patients. Sam: Intelligent messaging is very very important, to get your patients involved in your continuity of care. It starts by just sending a reminder for their upcoming appointment. It can be an automated phone call or a text message or an app notification, so that’s the first step. The second step is to start using intelligent messaging to alert patients as simple as a flu shot, a reminder for a flu shot; we increase your compliance levels. But now that we’re seeing some trends where many of our customers have started using intelligent messaging for some unique needs; let’s take an example of you want to create a new campaign for all the patients that are diagnosed with diabetes but you want to send messages to only those patients whose hemoglobin A1Cs are way through the roof, and you want to send a notification to schedule an appointment with you or have a follow-up phone call or televisit. So, and when a patient walks into your office or in response to that intelligent message, you can enroll them into chronic care management programs and other programs based on how patients are doing and managing your chronic conditions. So there are going to be a lot of opportunities and we don’t know if investment is going to be huge. One single text message is going to result into saving a patient’s life, number one, also as a practice you can start offering services that you have never thought of leveraging today. Adam: And of course if any of our clients are interested in learning more about intelligent messaging, we’ve published several case studies on eclinicalworks.com that you can go check out today. A hot topic in many industries today is the internet of things, how will it bring changes to the healthcare industry? Sam: well if you look at a consumer today, the consumers these days are interested in using their smart phone to control everything that is out there, including their thermostats at home or light switches. Why can’t we start using that similar capability and bring that concept into healthcare? Let’s take a look at some examples where this is probably applicable to most; if you are a diabetic patient and you like to manage your blood glucose level over a period of time, you can use a glucometer that can wirelessly communicate with your smartphone app, healow app that is on your smartphone, and healow will be able to download all those readings from your glucometer, number one, and once the information is available on app, you can immediately publish them and make them available to your physicians, or, next time when you go to the doctor’s office, you’ll be able to share all those readings so that doctors can take better decisions and make better decisions. And we have done integrations with more than 25 different types of devices today, all the way from blood pressure cuffs to activity monitors and weighing scales to help patients take care of chronic conditions, that they’re trying to manage, better than what they were able to do in the past. I think, integrations with all these devices and a clinical roots engine, is going to transform how the care delivery is done to manage chronic care services. Jim’s Wife: He may have been taking care of himself, but he needed a lifestyle change. Jim: When I visited Dr. Weinstock, for my annual physical last year, my blood pressure was ten points higher on my top number and five points higher on my lower number. Dr. Weinstock: I was a little concerned, I realized that he was kind of going in the wrong direction. We made some adjustments, medications – said to continue taking your blood pressure regularly, with the blood pressure cuff, it hooks up to his phone, he connects into healow and then transfer that information to my desktop through eClinicalWorks. Dr. Weinstock: He was able to realize – okay, I’m not feeling good, my blood pressure’s up, I can’t fool around with that. Sending him to the emergency room was the appropriate place to go and not wait. Dr. Weinstock: He could articulate to the emergency room, here’s my records, here’s my blood pressure from the visit, here’s my labs from last week, and allow the emergency room to have a lot of information at the time he presented, as opposed to figuring out what was really going on. Jim’s Wife: You can say heart attack. Jim: Heart attack. The good news is that there’s medications that can treat it aggressively now, which is what they’re doing and the doctor can see everything online. Dr. Weinstock: The fact that people, now, with the healow app, can have access to their information is, again, another level of healthcare. Jim: just knowing that healow is allowing my doctor to see what’s going on in my life, on his computer, and then when you get an email from him, you know he’s looking at that – it’s like you’re being watched by the doctor at all times. Jim’s Wife: And if there are issues, at least he can address it I’m grateful for that. Dr. Weinstock: To be able to follow information, the data from patients when you’re not in the office, to see the effects it had on him, and his care was fantastic. Adam: So, Sam, at this point we’d like to take a few moments and have some questions from some callers. Caller 1 (Nicole): Hi my name’s Nicole and I work for an organization that is considering adding dental services for a variety of reasons I don’t have to go into now, but my question is does eClinicalWorks have any kind of capability for dental practices? It would really be great to have something within the same system that we could use. Sam: Oh absolutely, I know two years ago we did not have capabilities for dentists to document all the dental information within eClinicalWorks and we found a lot of our federally qualified health centers that are offering medical, dental, behavioral health services, and they started asking us why can’t we build a dental product for them? Which is integrated with medical documentation. And we’ve been successful in that initiative and, today, as you see, the federally qualified health center landscape, we are more than 60% of those health centers across the country use eClinicalWorks EMR, and many of them have started using our dental solution along with their medical care, you know, using the same product. And they don’t have to log in and out and they have the entire dental chart and they can take care of executing that dental visit. Towards the end of 2015, we realized that we can offer this to freestanding dental clinics. And we created a new program inside eClinicalWorks and a new business unit that is focusing on dental clinics and we’ve been very effective in the last few months of launching this and we do anticipate a tremendous growth in that vertical in 2016. Caller 2 (Jessica): Hi my name is Jessica. My question is regards to Telehealth. The prospect of offering telehealth is overwhelming because when it was first being introduced it was very expensive in terms of equipment and infrastructure. 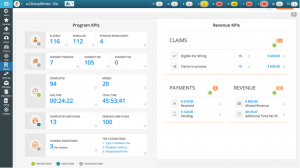 What’s eClinicalWorks doing to change that? Sam: Well, let’s look at what happened to the cell phone industry, in the early 90s, you bought the cell phones that used to be this big, and you needed two hands to kind of talk, and on the cell phone, that has changed, as you and I see how smartphones are getting utilized. The same thing has happened to telehealth industry, in general, you don’t have to worry about, you know, spending millions of dollars to start these telehealth services. eClinicalWorks has simplified this entire experience, and a patient and the physicians just need a browser running on their device. And as long as they have a camera on both sides, they can start a televisit. So we’ve simplified this from a patient’s point of view; when a patient is on a patient portal, trying to schedule an appointment with a physician, there will be options for a face-to-face visit or a televisit. And if patient chooses the televisit, then the physician will get notified on the office visit schedule. As a result, when a patient starts that visit, the doctor will be able to see the patient on the right hand panel, as the doctor is going through the documentation. The exciting thing here is that it’s not just a face-to-face interview online, if patient enters any information online, or if patient has a wearable device – that has provided any information through he healow app, the physician can download that information into the note, and that is giving the ultimate experience to the physician, and physicians will not find a difference treating a face-to-face encounter vs, say, a telehealth encounter. Caller 3 (Peter): How’s it going my name is Peter from New Jersey and during the keynote, at the last National Conference, eClinicalWorks mentioned that it is opening international offices and dedicating attention to overseas projects. What about the customers here in the United States? Are you doing anything to improve your ability to help those clients that are based in the US? Sam: Let’s start talking about our international story, we just opened an office in UK, in London, and primarily we see in the international market, hospitals are adopting technology and we have more than 50 hospitals that use our hospital management system, which is going really well and growing really well, but we haven’t slowed down the growth on the physician market in the US, and we just bought a new building here in Massachusetts, which is twice the size of the building that we are in, get excited about that – we plan to add another thousand employees, in that facility. You might be asking what we are up to with a new thousand employees. Well we want to bring the inpatient technologies to hospitals in United States. And we have started working with hospitals here in US, who are interested in working with us, in the early stages in building hospital inpatient EMR or acute care EMR, and we do see eClinicalWorks playing a big role in the next few years in that space as well. Adam: Well, Sam I think we’re going to wrap up here with a big question, the hot topic on everybody’s mind, and that’s 10e – 10e being the big thing coming up in 2016, tell us about that. Sam: First of all, when you start 10e on your laptop or any device, you can use any device by the way, you can use a MacBook, you can use a windows, laptop or a Chromebook to access 10e, that, in itself, is spectacular. When you start 10e on your personal device, you’ll be like wow. The user experience is going to be amazing. You’ll see a consistency in user experience, it’s very similar to the way you use modern tools on your personal device. What we have done in 10e, is to kind of bring everything that we have done over the last 16 years, the technologies for providers, patients and population, all available through one single user interface, in a consistent way. Let’s take a scenario where you want to start using telehealth services, it is embedded and integrated into 10e platform. 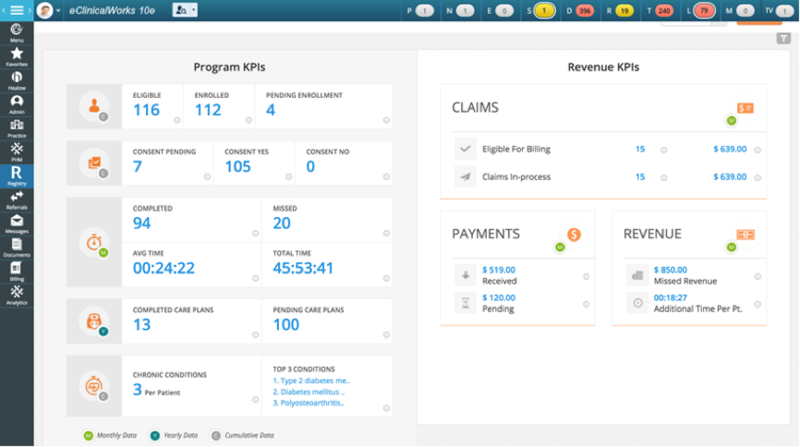 You want to start doing some HEDIS reporting and other type of analytics, with the data that you have, it is embedded right inside 10e platform. We are very excited about this 10e initiative, in general, and I’m sure all of our customers are going to be thrilled using 10e platform.